Yay, happy day! I can share some secret sewing finally! I mentioned in my last post that I’d just gotten past the Season of the Deadlines. 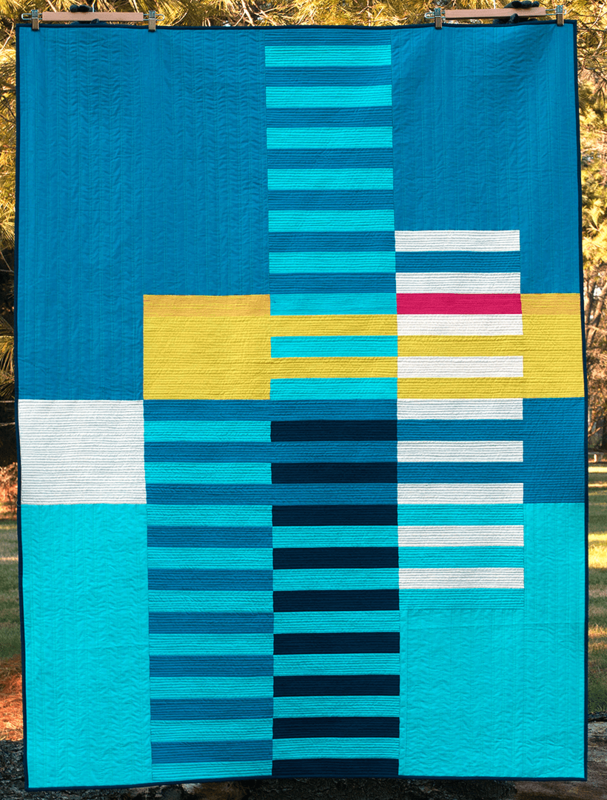 One of those deadlines was creating this quilt for the Modern Quilt Guild’s Quilt of the Month program (you need to be a member and logged in for the link to work), which just got released today! If you are a member of the MQG, the link to the free pattern should have been emailed out to you. I included a couple of ideas on ways to change up the design as well as a coloring page for testing out your own versions. 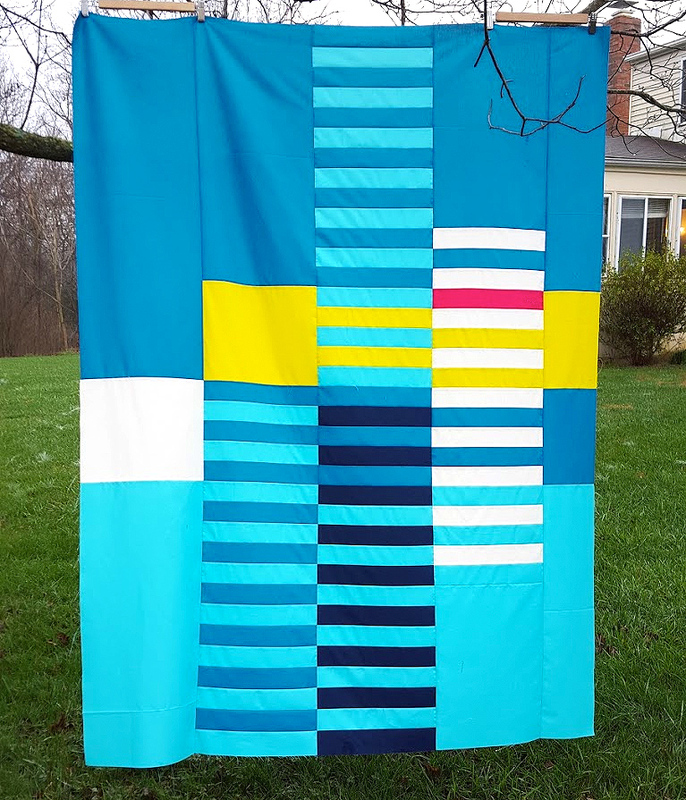 This quilt started out life as a QDAD (Quilt Design a Day), but when I submitted it for the quilt of the month, I changed up the colors quite a bit to include some of my favorites. 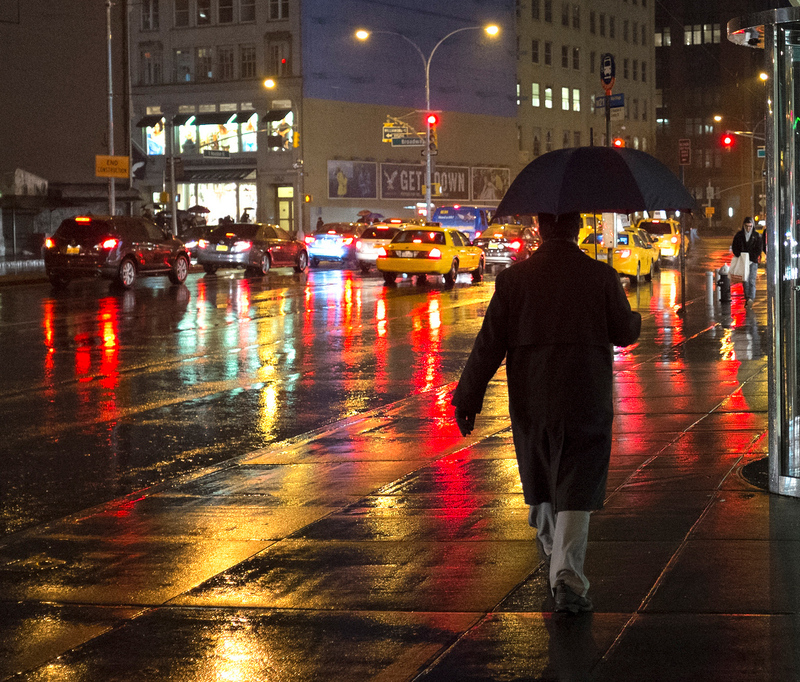 Photo by Steven Pisano, used under Creative Commons. Photo has been cropped from original image. The repetition of the lines reminded me of the way light reflections skip down the street after a good rain and I played with the colors around that idea. I had planned to finish this quilt during my Christmas break, but due to weather and holidays, the fabric didn’t show up until I was already back to work. I am teaching a new class this semester which means loads of prep time, so finding the time was tough. I managed to finish the quilt by the deadline in late January, but I was practically in tears over how much I hated the quilting. The photo really doesn’t capture it (that was originally on purpose) but it was not straight, lots of puckers and the fabric had moved all over the place, ruining all the straight lines I’d created. Fortunately, I chatted with a few friends who talked me down and convinced me that I could always go back to the quilting later. After QuiltCon (which I still need to write up my notes about!) I came home really inspired. During the panel I moderated, the idea of doing something in small bits over a longer period of time had come up again which is the philosophy behind QDAD. So I took out City Lights and stared at it. While it really deserved to have all the quilting ripped out, I decided I just couldn’t face that. So instead I decided to make the quilting more dense which would help take attention away from the wobbles, and I pulled the stitching in the places that were puckered. 20 minutes a night for a little over a week (AND USING MY WALKING FOOT OMG) and I ended up with something I was MUCH happier with! And as a bonus, because the quilt hadn’t been mailed out to everyone yet, I was able to replace the photo with a new one that showed off the better quilting. 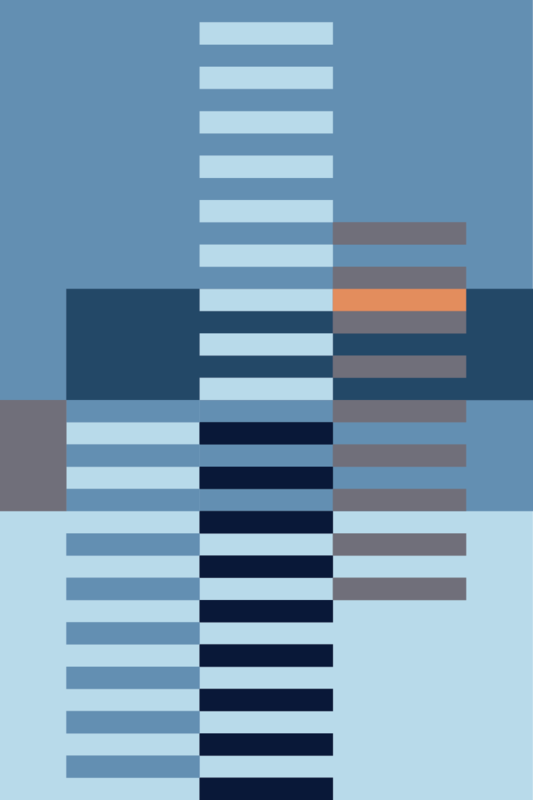 I used double lines for the vertical parts as a call out to the lines you see on sky scrapers, and denser straight line quilting for the horizontals to mimic ripples in pooled water. The patch of hot pink I used pink thread to pull the color across similar to the way light reflections get pulled across the water. 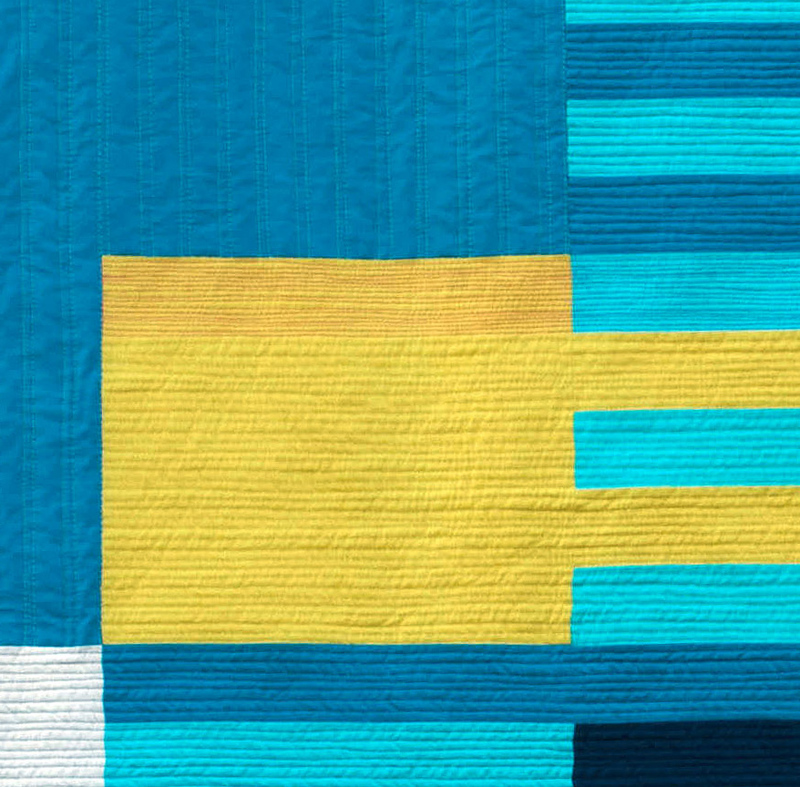 I still have a lot to learn about quilting as a design element, and making mistakes is part of the process. 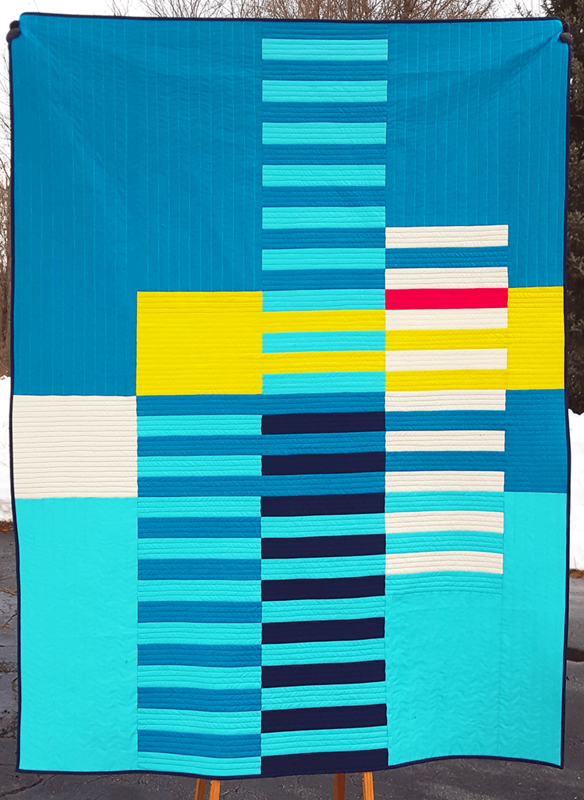 I definitely learned a ton from this quilt and I look forward to applying that to future quilts! Pro-tip: Use your walking foot even if its kind of a pain to put on and is also a bit loud because holy cow why did I ever think it wasn’t worth using?! Bentos and Templates and Dragons, Oh My! Thank you for the kind comments and the link! I did catch it and was so surprised to see myself mentioned! I am so glad that this year at QuiltCon I skipped all the classes and focused on meeting and chatting with people. Meeting Melanie was definitely a highlight of my trip! I like the interaction of the new quilting and the piecing. Glad you found a better solution than picking out stitches. Thank you for this fabulous pattern! Now all I have to do is select a colorway. You always inspire me! Well I love it! Good for you for giving it a little something extra to make it even better! Thank you so much! 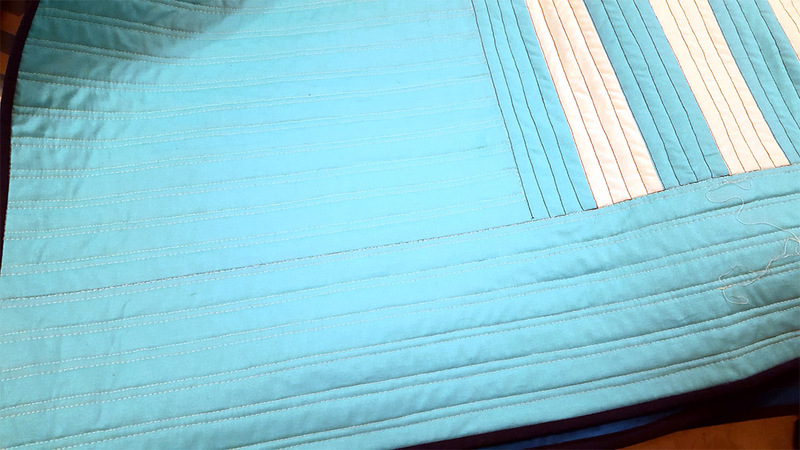 <3 I have a really rocky relationship with quilting, but I am really trying to make it work. haha! The quilt looks great. The walking foot is definitely your friend, but I agree with you about changing feet. I always find myself procrastinating when it is time to change out a foot, whether it be the walking foot or the quarter inch foot or something else. I just hate changing feet. Yessss, the walking foot. I had it drop grease on a quilt once and I think it scared me away. I don’t know what caused it but hopefully it won’t do it again. :/ Also I’m with you, I hate changing feet! Which is weird because it takes less than a minute! Congratulations! It’s a great quilt, with wonderful colours. Fabulous! I recently joined the QDAD fb page … it’s so great to see one of your designs come to life! Amazing, Anne!! I love the improvisational feel. 🙂 I was so excited to see you pop up in my email this morning! 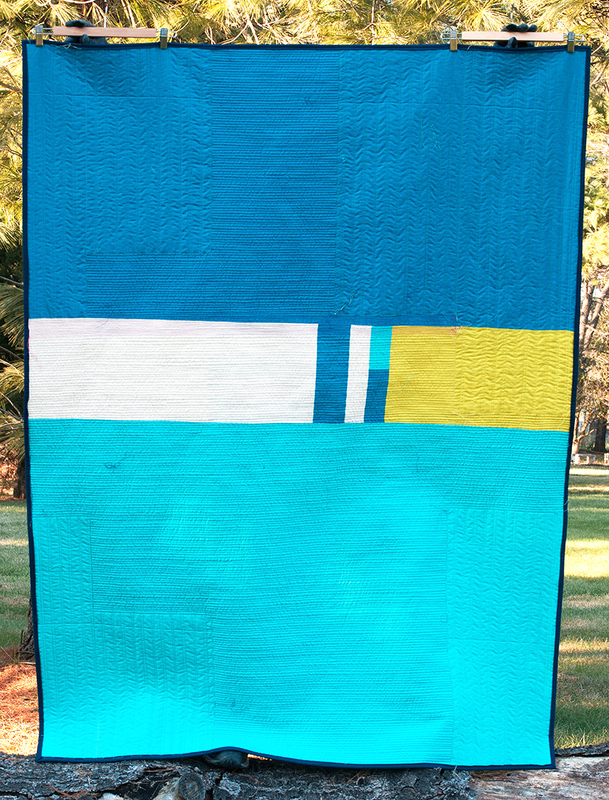 Love the dense quilting and the story that goes with this quilt. What can I say that hasn’t been said? I totally agree with all the comments. Congratulations to you, Anne. Sadly for me, I’m not a member of the Modern Quilt Guild – yet, so the pattern is not available to me. Thanks for the quilt design PDFs. Very interesting. Also, I have some final pics to send you of my finished quilt when I get home late this weekend. This is such a beautiful and striking design, I love it. And I cannot imagine quilting without a walking foot, you will find it makes a huge difference for all your straight line quilting. At one point, my walking foot dropped a spot of black grease on a white quilt I was working on which fortunately was not for show or anything. However, it has made me wary to use it ever since, even though I’ve been pretty good about cleaning it since then. I have no idea why the grease spot appeared, but it fortunately did not happen with this quilt. It really makes SUCH a huge [positive] difference, I will definitely use it in the future. And fingers crossed the grease thing doesn’t happen again!